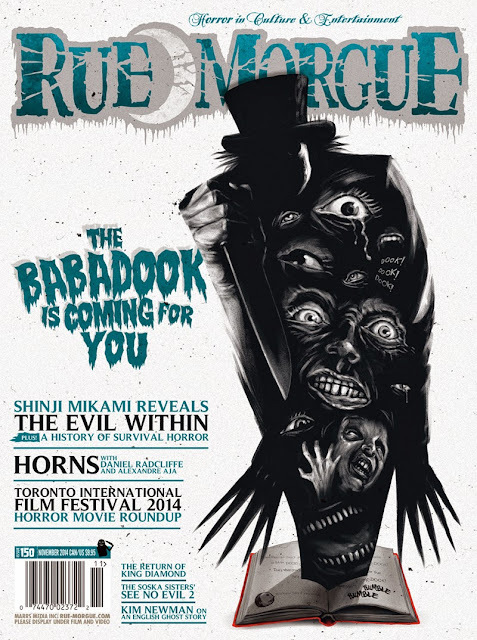 Well, the 150th issue of Rue Morgue Magazine is out and offers not only articles on Aussie horror flick The Babadook - I've heard a lot of good things about it - the 2014 Toronto International Film Festival and Shinji Mikami's The Evil Within, but also a review of my debut effort. Still haven't gotten my copy yet, but I'm keeping my fingers crossed it got a good review. Get yours here.